The tech world evolves. The ones who wear black hats get smarter, and the ones who wear white hats get even smarter. Using AI, machine learning, and the big data of our vast network, we’re proud to be forerunners in the latter category, staying a step ahead of the cybercrime underworld. We not only test our products rigorously in our own labs, but we submit them for objective third-party evaluations to learn where we can improve. Reviews have been favorable throughout 2018 and we continue to offer the best free and most competitive and feature rich antivirus products on the market. Avast Free Antivirus 2018 for Windows received Top Product from AV-Test. The Avast 2019 product line-up adds on more features. But here's the thing: According to a recent study done by the National Telecommunications and Information Administration, a surprising lack of concern towards personal breaches pervades the public. So as we head into the last few months of 2018 — a year fraught with phishing scams, data breaches, more phishing scams, and more data breaches — we look forward to adding more advanced technology to our Antivirus in 2019. We’re upgrading our users with faster, smarter protection, new strides in performance that make your life online less cumbersome, and extra measures for uncrackable data privacy. With machine learning and image recognition, bad sites are identified faster and users are alerted sooner. No more landing on malicious sites that often attempt to steal your credentials. Our new anti-phishing tool verifies fake sites as phony before you ever set foot in the quicksand, and it will be built-in to all of our antivirus offerings. 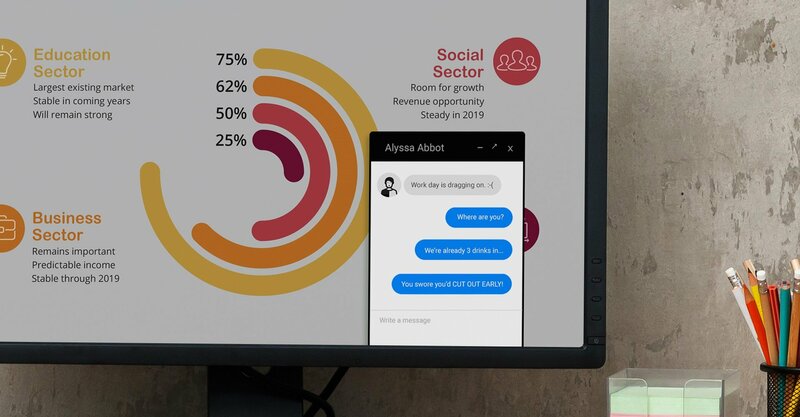 No more text messages popping on-screen during your PowerPoint presentation. No more emails dinging in as you fight for your life to make Top 3 in Fortnite. No more social media alerts or video calls during movie streaming on Friday night. And best of all, no hassle to pop in and out of Do Not Disturb — simply go full screen, or come out of full screen. You can manage your settings to decide which apps go quiet, such as Facebook, Gmail, Skype, Messenger, and Google Chrome. This feature will also be part of all our antivirus offerings moving forward. Do Not Disturb mode also replaces Game Mode so game mode is still there, just now, as we like to say it is “on steroids”. Pop-ups such as this one will not show when you are in full screen mode. We have added a new specialty shield this year. This new “shield” can be seen as little task forces focused on protecting a very particular part of your system — Webcam Shield locks down your webcam, Ransomware Shield keeps your most important files from getting encrypted — and now, more recently added, Sensitive Data Shield, will let you scan your computer for any .xls, .doc, .pdf, and .txt files containing private data, and then seal those files off from unauthorized access. The files are not uploaded anywhere or removed from your server. They stay where they are in your folders, only they are wrapped in Avast-level security that needs authorization from you to open. Sensitive Data Shield will be available in our premium-level antivirus products. October is National Cybersecurity Month. It’s a good moment to make a promise — not to each other, but to ourselves. Let’s vow to better defend our digital lives in this coming year, to protect them as though they were our real lives, because the two are very intertwined. Also this month is a good time to remind your friends and loved ones to protect themselves - digital security is no longer a “maybe I should…”, it is an “I must-have!”. For a more secure, online experience, download Avast Free Antivirus..